Unless you live under a rock, you know that yesterday was the big fancy solar eclipse! I hope that you were able to get out and see it in some way, shape or form. 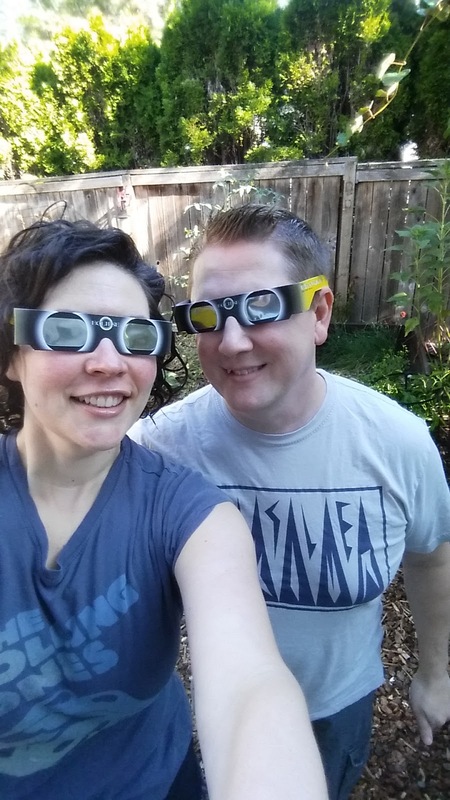 We were incredibly lucky, because Oregon was in the path of totality. 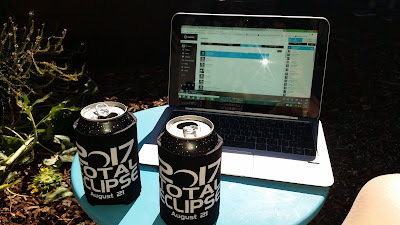 Where I live got about 99% totality as opposed to places like Madras (central Oregon) and the coast, which both got 100%. Regardless of the 1% difference, it was an incredible, amazing day and I'm so thankful we got to see it! We requested to work from home since the traffic was predicted to be pretty much apocalyptic, and I'm so glad that we did. I originally was like 'whatever' about the eclipse, mainly because I just had major fatigue from hearing about it on the news for months on end (as you can imagine, the coverage here was nonstop since last year). As things drew closer, we both became pretty pumped about it and decided to go whole hog yesterday to celebrate. 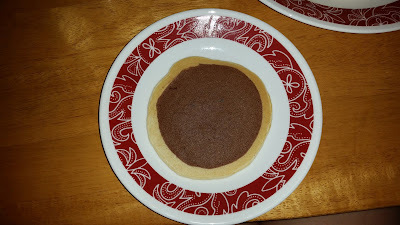 I started the day by making us some Eclipse pancakes with Kodiak chocolate pancake mix and Bisquick. We did have the correct viewing glasses ahead of time, Eric thankfully prompted me over a month ago with some links to the fancy ISO approved glasses so I ordered them from Amazon and we had them ready to go. Good thing I did, because everywhere around here either sold out of glasses or had to recall faulty glasses. Yikes! No one likes a burned eyeball. The smallest pack I could get was a three pack, so I gave the 3rd pair to my boss. They are...not fashionable exactly, but eyesight is better than looking cute. 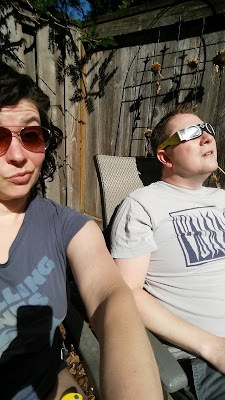 On Saturday we went out around the time the eclipse was supposed to happen so that we could see where the sun was at and if we could view the eclipse from our yard, or if we'd have to move down the street to view it. We were stoked to see that we'd have a perfect view in our own backyard, so yesterday morning Eric got our chairs all set up and ready for prime time. 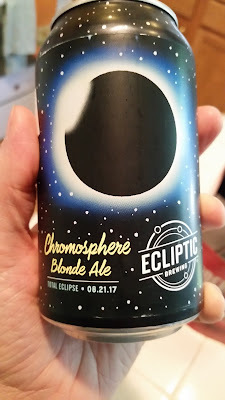 And because we are horrible people, we cracked the two eclipse themed beers we bought just for the occasion. It was really good! And we got a hell of a show. I seriously have never experienced anything like that in my life, and I can see why people become eclipse chasers. It was weird, eerie, beautiful and completely surreal. Since we didn't get 100% totality it didn't go fully dark, but was this weird dusky vibe, as though we were looking at our yard through a greyish blue film or something. 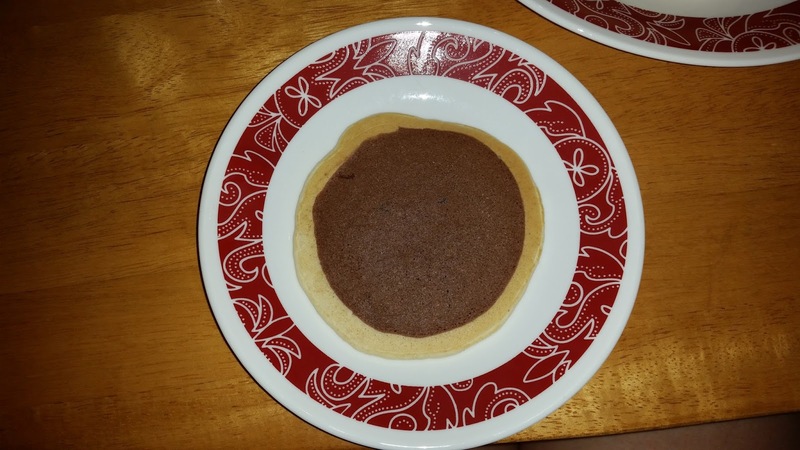 I didn't bother trying to take pictures of the actual eclipse since I wanted to be truly present for it, and since no one wants to see my crappy Android pics of it, lol. Eric and I held hands and just experienced it for the 20 minutes or so that it took to get to 99%. It was truly special and something I'll never forget. The rest of the day was pretty anticlimactic since I had to go back upstairs to my office and work. 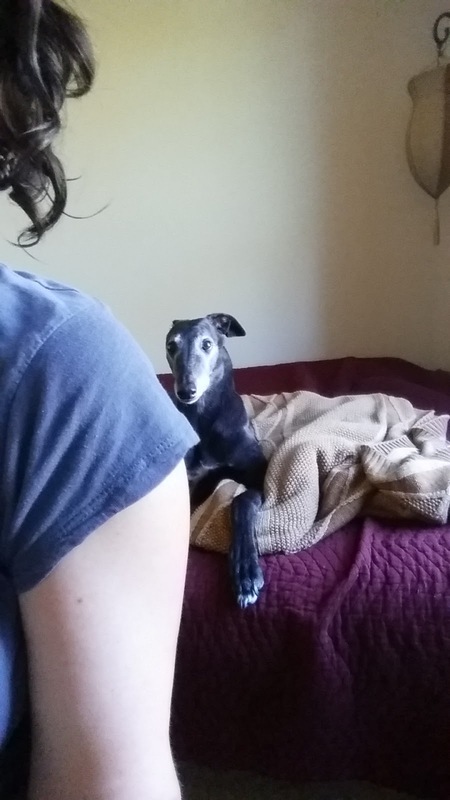 For her part, my "coworker" didn't understand the fuss, slept through the eclipse, and was very happy when it was all over so we could go back upstairs and she could supervise me again. I'm glad y'all had such a great eclipse experience! That's a shame that Molly didn't want to participate! I bet she would have looked smashing in those glasses! She was SO annoyed by the excitement in the air (we were running around a lot and totally spazzing out). She is never pleased when her nap time is disturbed! What an awesome way to spend the eclipse!